The emergence of a swathe of paradigm-changing building technologies will heighten the appeal of construction projects to capital by making them safer and more predictable investment bets. 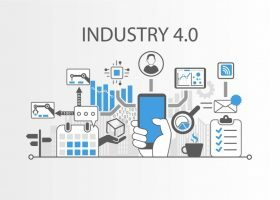 According to Dominic Thasarathar, Construction Industry Strategist, Autodesk, the global construction sector is on the verge of profound transformation following the emergence of a slew of new technologies that will have the net effect of increasing the surety and predictability of new projects. “We’re seeing a whole bunch technologies emerging simultaneously – from drones and augmented reality to 3D printing, big data and BIM, all of which are coming together to significantly transform the industry,” said Thasarathar. Upcoming technological change will chiefly affect two areas – big data and cloud computing will have a profound impact upon the design and management of construction projects, while prefab and additive manufacturing is set to transform the physical process of building itself. “There are a couple of big changes on the horizon, and the first will be on the design side as a result of big data and cloud computing” said Thasarathar. “The cloud offers almost infinite computing power, giving you access to hundreds of thousands of CPUs that engage in parallel processing. The ability to perform more effective optioneering and predictive analysis using big data in tandem with the virtually limitless processing power of the cloud will make a major difference to the bottom line of construction companies. “Traditionally it’s quite a low margin industry, so options like better mitigating risk and planning for how you’re going to manage your cash flow can all help to improve your commercial strategy when you’re going to respond to an invitation to tender,” said Thasarathar. On the bricks-and-mortar, nuts-and-bolts side of the building process, prefab and additive manufacturing promise to transform the way that projects are physical delivered. “The two most obvious things that jump out when it comes to the physical delivery of all these different infrastructure assets is the increased use of prefab and 3D printing,” said Thasarathar. “Over the next five years, we’ll see an increasing percentage of the world’s buildings and infrastructure being prefabricated and then shipped around the world to be assembled on site. When it comes to 3D printing, Thasarathar foresees greater use of the technology with a broader range of materials and project types, as cities like Dubai adopt measures to increasing the use of additive manufacturing for building purposes. “It’s already possible today to print 80 different types of material, including steel and glass and ceramic, and it’s still just early days,” he said. “There are some great examples out there – MX3D who are using additive manufacturing to print steel bridge, and the recent office building that was printed out in Dubai using concrete. In addition to achieving profound improvements to the building and development process itself, these technologies will also have far-ranging implications for the construction sector as a whole. Chief amongst them will be enhancing the lustre of construction projects in the eyes of investors by cutting down risk and increasing predictability, thus expanding the flow of capital to the sector in general. “Technology has got a great role to play in terms of reducing the risk, taking out all of those uncertainties out and reducing waste,” said Thasarathar. 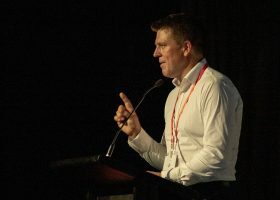 “We should start to see margins increase, because productivity will start to go up, and we should start to see risk start to come down, costs should start to become more predictable. “Greater surety will certainly make infrastructure projects more appealing to capital, reassuring people that if they put a million dollars into a project they’re going to get their return within the time frame that you’re predicting.